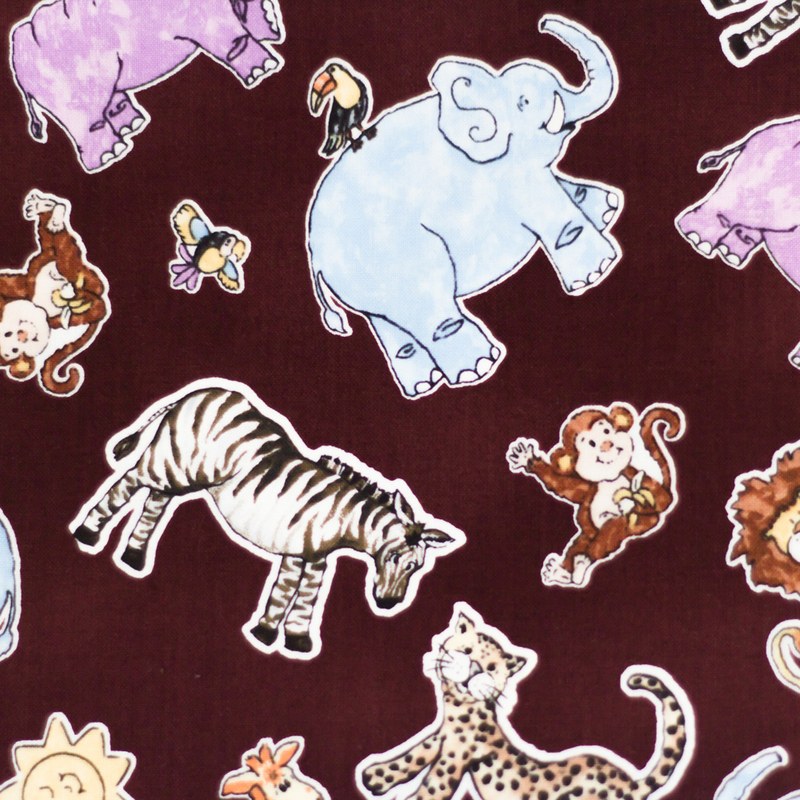 This gorgeous fabric features 7¾” (19½cm) blocks across the width of the fabric (WOF). Each block holds an iconic Christmas image bordered by red, ivory and black with a red Poinsettia all-over print in between the blocks, and a border strip of Holly vines up each edge of the fabric. 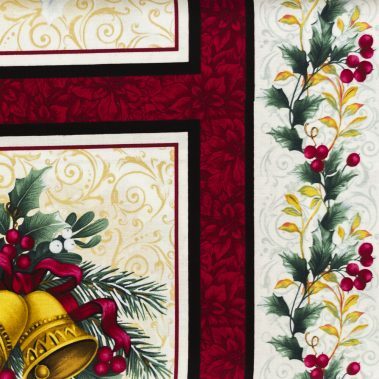 Block images include Christmas bells, Robin Red-Breast, Poinsettias and Holly flowers. Repeat is 8¾” (22½cm). 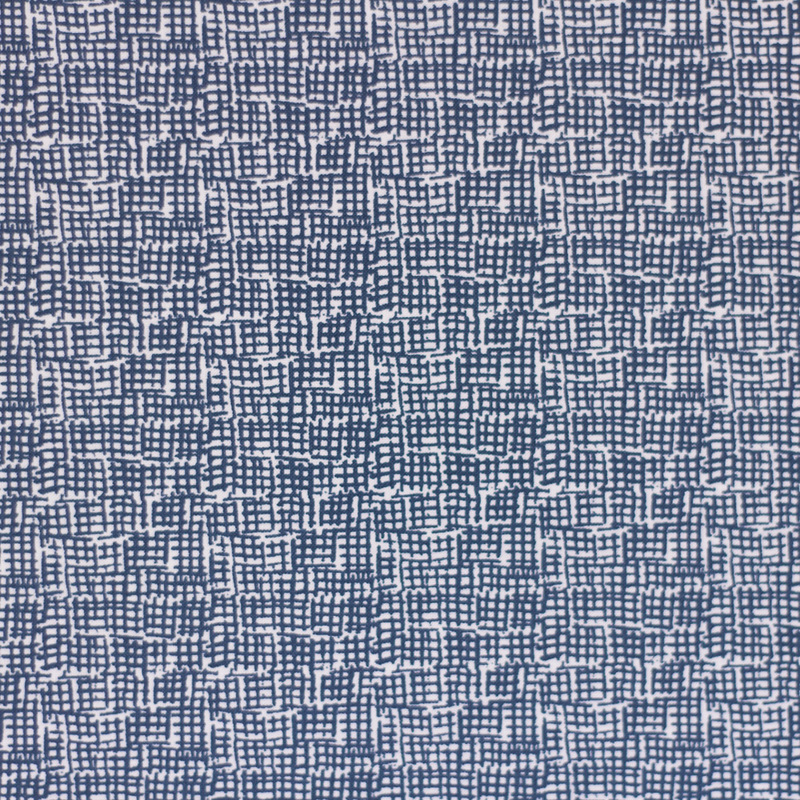 This fabric can be fussy cut to make small/medium home décor items such as placemats, large coasters or cushions. 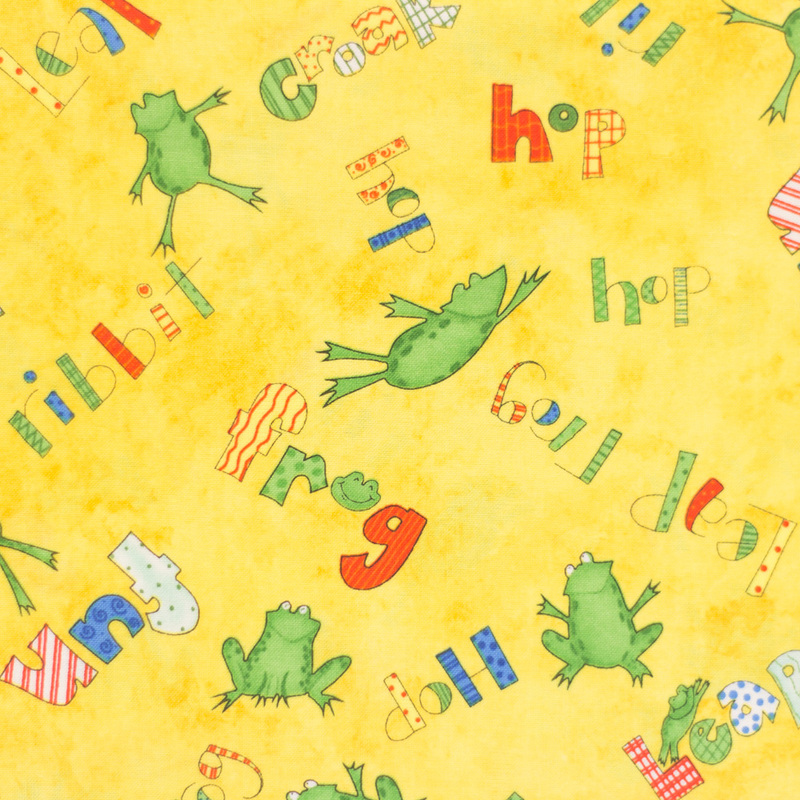 Borders can be fussy cut for use in a variety of projects. 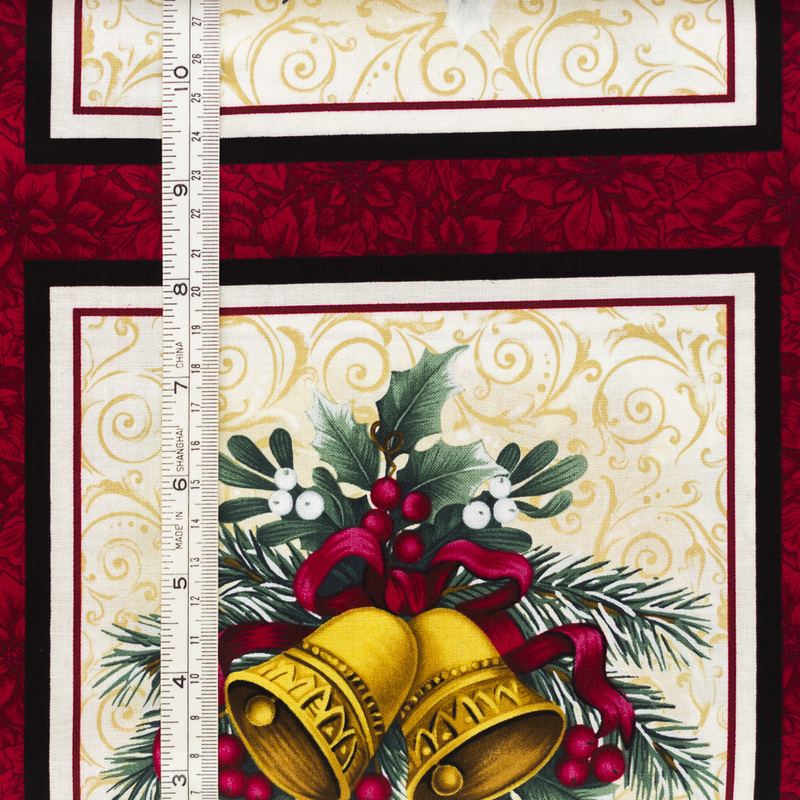 Or use in multiple or individual blocks in a Christmas quilt.